Back again peeps. Part-time has turned into full-time work this week which means the things I'd planned to get done this week are just not happening as fast as I'd want. Hey ho. What I did finish was the next of my version of 12 Tags of Christmas (that's No. 10). This is probably my favourite so far now it's finished. 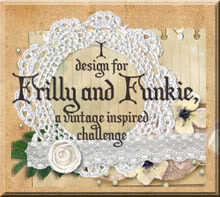 If you've not seen my previous entries this is is a challenge set by Linda Coughlin at The Funkie Junkie blog (full details HERE) which is running until 17th December - so still time to enter - and is sponsored very generously by The Funkie Junkie Boutique. I copied Linda's idea of using her generous image freebie as a tree ornament, using Tim Holtz's Reflective Imagery technique (as seen in his Compendium of Curiosities 2) to make my one. As luck would have it that is the challenge going on at Linda Ledbetter's Studio L3 CC2 challenge 30, so it will be entered there too. Rather than use a fragment I went to town with Glossy Accents. 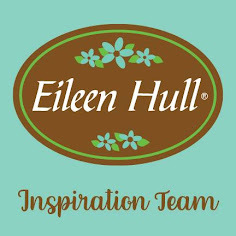 As you will have seen from Linda's original tag HERE, it was her idea to go with a brick wall background. Mine used a Creative Expressions embossing folder on antique gold card with gesso, Fired Brick Distress Ink and Picket Fence Distress Stain. It's just like a winter fireside. And near that fireside a Christmas tree (well, embossed pine needles in this case!) along with beautiful lace from The Funkie Junkie Boutique (edged with Fired Brick DI) and some seed beads. My sentiment was created on card covered in glitter embossing powder coloured with black alcohol ink (remember Tim's tag used this idea?) The strip of Basic Grey cardstock provided a nice contrast. The top was again influenced by Linda's tag - I don't have an icicle die so this is the DIY option. Did you know if you dribble White Mixative alcohol ink with dry glitter and heat it you get the most gorgeous fluffy/powdery effect. Ribbon and thread with buttons completed the look. I really love this tag Buttons...the bauble is just beautiful. Great background too. So pretty - your glossy bauble is just lovely; the pine branch against the bricks - fabulous; and the Noel - almost too funky! Very cool texture... Beautiful work, as always! Such a beautiful tag I didn't know what to look at next. My eyes settled on the wonderful lace and gems down the side. Beautiful Buttons, just Beautiful. I love all the details: everytime you look you see something different. Absolutely in love with your background - very clever. Have fun with the full time!! This is great - love the fireside idea and all the detail you've achieved with the colours, stamping and embellies!! just love this tag and the image on the bauble is beautiful. I'd forgotten that technique although I did use it last year when I got 'the book' - must study it again for inspiration. The ornament is gorgeous as is that trim running down the side of the tag. Yes, trust me to zoom in on the beautiful trim, cannot help myself! Lots to see and admire...a gorgeous tag Buttons! Loving that beautiful bauble, Buttons! And your tag itself is stunning. The bricks are gorgeous as a base. Wonderful tag , love all the elements and techniques. Oh my, what a gorgeous tag! Love all the dimension and the vintage touch. I can see why it is your favourite Buttons - its beautiful! Once again it is the texture and the clever combination of elements that always makes your art outstanding! A wonderful tag with great details and texture. This is a great make, love the shape and images of that bauble, but that word is wonderful and I love you you've made it all sparkly, but used black - great idea. What a gorgeous tag! Love the lace trim and your ornament is one perfect reflection! Happy Weekend! GORGEOUS!!! Love the ornament and lace...beautiful! Another sensational tag, Buttons! Your bauble came out terrific, love the pine needles - that creates such an awesome effect and thanks for the tip on the alcohol ink mixative and the dry glitter. 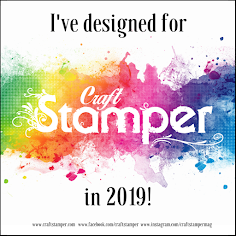 It looks amazing on your tag - must try it when I get my supplies back! So happy to see you hanging in through these last few tags!